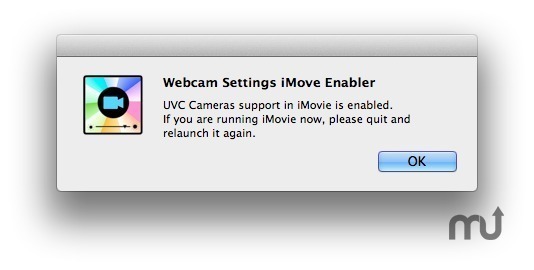 Enable external USB UVC camera support in iMovie for Webcam Settings user. Is there a better alternative to Webcam Settings iMovie Enabler? Is Webcam Settings iMovie Enabler really the best app in Video category? Will Webcam Settings iMovie Enabler work good on macOS 10.13.4? Webcam Settings iMovie Enabler enables external USB UVC camera for Webcam Settings. Webcam Settings iMovie Enabler needs a review. Be the first to review this app and get the discussion started! Webcam Settings iMovie Enabler needs a rating. Be the first to rate this app and get the discussion started!